How old should someone be to consider orthodontic treatment? What causes problems that require orthodontics? What are orthodontic problems that are most commonly treated? Is it important to get orthodontic treatment? How much does it cost to get orthodontic treatment? How long will does the treatment take? What records are taken during my treatment? Is it possible for me to get braces that aren't noticeable? What does it feel like to have braces? What special attention do I need to give to braces? What important things should I remember during the time I am getting orthodontic treatment? What else would you suggest I do to learn more about Orthodontics? A professional orthodontist is skilled in aligning the teeth, the lips, and the jaw through designing, applying, and controlling corrective appliances, such as braces. You can be assured that you'll get the top orthodontic care available from our Garden City office. An orthodontist is a dentist; like all other dentists, he or she must attend college, and then attend a four-year graduate dental school at either a dental school at a major university, or an institution accredited by the Commission on Dental Accreditation of the American Dental Association (ADA). Dr. Emma received her dental degree at the Stony Brook School of Dental Medicine. Dentists who wish to become orthodontists must in addition to their dental degree also complete an additional two or three year program of advanced education and residency in orthodontics, which must also be accredited by the ADA. All of this additional training allows the orthodontist to learn orthodontics (managing tooth movement) and dentofacial orthopedics (guiding facial development). To be called an "orthodontist", a dentist must successfully complete this advanced education. Only about 6 percent of dentists become orthodontists. Orthodontics is a dental specialty which focuses on correcting dental and facial irregularities. Orthodontists like Dr. Emma and Dr. Rodis are experts at moving teeth, helping jaws develop properly and working with you to make sure your teeth stay in their new positions. Since Dr. Emma and Dr. Rodis are members of the American Association of Orthodontists, they are uniquely qualified to fix teeth and jaws which are improperly aligned. They have both met the requirements of the American Dental Association of having two years of post-doctoral, advanced specialty training in orthodontics in an accredited program, after they graduated from college and dental school. Only those who meet these qualifications may be called "orthodontists". Orthodontic treatment is suitable for both adults and children--if teeth are healthy, they can be moved no matter what age. 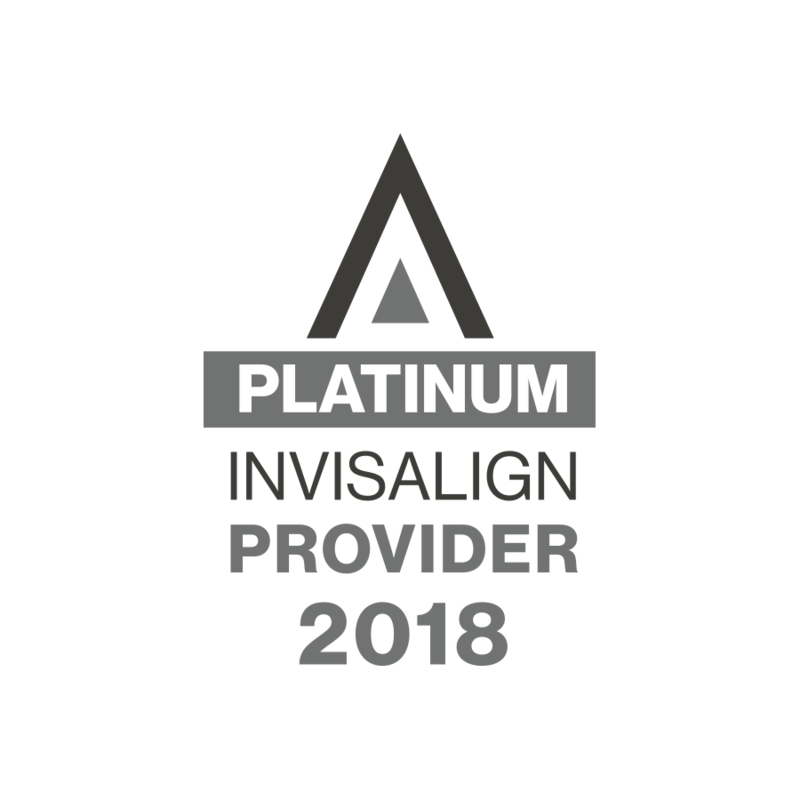 No matter what age, an orthodontic evaluation is suitable, especially if you, a parent, a family dentist or the family doctor have noticed issues with how straight your teeth are. Because some orthodontics issues are easier treated early, The American Association of Orthodontics recommends that every child should get a check-up with an orthodontist no later than age 7. This is because some orthodontic problems are easier to correct if detected early, while the jaw is still developing. Early screening, before children have all permanent teeth and have completed their facial growth, can make treatment of certain problems much simpler. Not at all. Healthy teeth can be moved at any age. Dr. Emma and Dr. Rodis have successfully treated patients both young and old, from children to adults in their 50s, 60s, and older! Anyone's smile can be vastly improved. For more information, please see our special page about Adult Orthodontics. The majority of orthodontic problems are genetic. Common inherited problems include teeth that are too crowded, having too much space between your teeth, having extra teeth or missing teeth, or a variety of other issues with the face, teeth, or jaws. Some orthodontic problems can be caused by something other than genetic, such as having an accident involving the mouth. In some cases, thumb or pacifier sucking may cause issues, as may premature loss of baby or adult teeth. Tooth problems may also be caused by airway obstruction or dental disease. Issues like these can affect not only how your teeth are aligned, but also how your face develops and appears. Crossbite: When biting down, if the upper teeth rest inside the lower teeth (toward the tongue), this is called a crossbite. Since crossbites often cause biting and chewing difficulties, these kinds of problems are often detected and corrected early. Crowding: If you have a particularly small dental arch or large teeth, teeth may end up being poorly aligned. When teeth become severely crowded, the bone and gums over the teeth may recede and become thin. Crowding can lead to impacted teeth, i.e., teeth have not come in properly, poor biting, and a less-than-desirable appearance. Deep bite: A deep bite, also known as a deep overbite, happens when your lower front teeth (incisors) bite too close to your upper teeth or into the gums. This can cause discomfort, wear of your incisors, and even damage to the bone behind your upper teeth. Open bite: An open bite results if, when biting down the upper teeth and lower teeth (incisors) do not touch. When this happens, chewing puts all the pressure on the back teeth. This can make chewing less efficient and the back teeth rubbing together may cause significant tooth wear. Overjet or protruding upper teeth: When your upper front teeth stick out too far forward from the lower front teeth, they are prone to injury and cause problems with biting of your back teeth (molars). They may also indicate an unevenness in jaw growth, when the lower jaw is shorter when compared to the upper jaw. Habits such as finger or thumb sucking can also cause the upper incisor teeth to protrude further than normal. Spacing: Space between teeth can occur if you have missing teeth or small teeth, or if your dental arch is particularly wide. Excessive space most often results in complaints of poor appearance. Underbite or protruding lower jaw : Approximately 3-5% of all people have a lower jaw that is longer than the upper jaw to some extent. This can result in a crossbite, when the lower incisors protrude in front of the upper front teeth. These patients need careful monitoring of how the jaw and teeth develop. Yes, if teeth are left crooked or crowded, they become difficult to clean and to maintain. Eventually, this can lead to tooth decay, and eventually to tooth loss and gum disease. Other orthodontic issues, left untreated, can result in wear and tear on tooth surfaces, poor chewing, stress on gums and bones, or jaw misalignment problems that can result in headaches or facial or neck pain. Certain orthodontic problems are best treated as early as possible. Treating the original problem often is quicker and less expensive than letting it develop into a more serious problem in later years. Aside from health issues , there is the cosmetic benefit of having an attractive smile. Orthodontic work can improve not just teeth, but lips and the face as well. It cannot be underestimated how a great smile can increase one's self-confidence and help him or her be more successful in both social situations and in a career. The cost depends on how severe the problem is, and what approach is being chosen to treat it. Dr. Emma will discuss any fees and payment options with you before any treatment begins. Our office offers a variety of payment options, including interest-free payment plans or third-party financing options for those who qualify. We also accept credit cards. Some dental insurance plans even include orthodontic benefits. And of course, remember that having a great-looking and healthy smile will be something that pays dividends throughout your life in so many ways. Treatment with braces can take anywhere from one year to three years. Mild problems and early treatment of problems may take only a few months. The total time will depends on how severe the problem is that is being fixed, as well as how well a patient's body, mouth, and face respond to the treatment, and how well the patient adheres to the doctor's instructions. If the doctor prescribes rubber bands and/or headgear, listening to the doctor's instructions will help the treatment be finished as scheduled. While this seems longer than other dental or medical procedures, the reward is huge. You can end up with a beautiful smile that will last you your entire life. Your teeth and jaws will look better and work better. This can improve not just your physical health, but also improve your self confidence. At the beginning of treatment, we'll take plenty of records to document your orthodontic problem to help determine the best treatment. As your teeth improve over the course of your treatment, we'll chart your progress each step on the way. The records typically include your medical history and dental history; the results of examination at our office; plaster models of your teeth; photos of your teeth and face; X-rays of all your teeth; the profile of your face; and other appropriate X-rays. Using all this information, we can determine the best course of treatment for you, as well as explain to you exactly what needs to be done for your treatment. The profile X-ray (also known as cephalometric film), is a record of the form and growth pattern of your face, as well as whether your teeth are tipped or tilted. This is essential for us to plan your treatment. Other X-rays are used to pinpoint any teeth that are impacted, missing, or have shortened or damaged roots, as well as to determine the amount of bone that support your teeth, and in the case of children, to determine how permanent teeth that may have not yet come in will grow. From all of these records, we create a custom treatment plan personalized just for you. Dr. Emma or Dr. Rodis will design and prescribe a custom-made set of appliances, or braces, based on your a detailed examination of your orthodontic needs. Your braces may be either removable or fixed (cemented and/or bonded to your teeth), and may be made of plastic, ceramic, or metal. Braces work by placing a constant, gentle force in a direction that is carefully controlled. This slowly moves teeth through their supporting bone to their new positions. Special orthopedic appliances such as headgear, bionator, and Herbst and maxillary expansion appliances are sometimes used for children or teenagers to guide the growth and development of jaws . For example, in just a matter of months an upper jaw expansion appliance can make a narrow upper jaw dramatically wider, improving the overall appearance of the face. Similarly, headgear or an Herbst appliance can improve appearances by dramatically adjusting upper incisor teeth (the top four front teeth) that protrude too much, or adjusting a lower jaw that is too far behind the upper jaw. Appliances can make upper and lower jaw lengths more compatible. You might recall people who had braces ten or twenty years ago had very noticeable "tin grins", when a metal band with a bracket (the part of the braces that hold the wire) were placed around each tooth. The good news is, today's braces are generally much less noticeable than those of the past. Today, the front teeth typically have only the bracket bonded directly to the tooth. And the brackets don't have to be metal--they can also be clear or even given a color, depending on your preference. In some cases, brackets can even be bonded behind the teeth (Incognito braces). Thanks to advancements in orthodontic materials and technology, wires are also less noticeable than the stainless steel ones from years ago. And technology continues to improve: currently, a completely clear orthodontic wire is in an experimental stage. Today, wires made of a nickel-titanium alloy which believe it or not, was engineered by NASA. During certain phases of treatment, these new "space age" wires cause the teeth to continue to move, which can reduce the number of adjustments that need to be made to the wires. As a result, the process of moving teeth is even faster and more comfortable for patients than in years past. In short, braces today are smaller, less noticeable, and more efficient than in years past. When braces are first put on and adjusted, it is normal to experience some discomfort. Teeth may become sore and may feel tender when biting for the first three to five days. Also, in some cases, the lips, cheeks, and tongue may become irritated for a week or two as they toughen and acclimate themselves to the surface of the braces. In the vast majority of cases, the discomfort is minor, and you can manage it with the same medicine you use to treat a headache. Dr. Emma and Dr. Rodis can provide advice on what pain killers to take. It's best to avoid hard and sticky foods that might damage the braces or cause them to become dislodged. Similarly, if you have a habit of chewing on pens, pencils or fingernails, you'll need to pay special attention to avoid this habit, which can damage your braces. When braces are damaged, it will require extra trips to the orthodontist’s office and often causes treatment to take longer. Dr. Emma, Dr. Rodis, and our whole staff in our Garden City office will teach you the special instructions to take care of your teeth, gums and braces during treatment. We'll show you how to brush, how to floss, and, if necessary, provide other tips to help you maintain good dental health. You should also continue to see your family dentist during your orthodontic treatment to make sure your teeth and gums remain healthy. The most important thing to remember is that for your treatment to be successful, it requires you to very carefully follow any instructions the doctors give you. If you're told to wear rubber bands, headgear, or other appliances, it's because doing so is part of a very controlled process to treat you--even skipping a few days can set back your progress. Also, it's critical to keep all scheduled appointments. As mentioned above, one very important thing to do is to try your best to avoid damage to your braces, which can prolong treatment time and hurt the chances of your treatment being completely successful. If damage does occur, be sure to contact the office immediately. In short, your orthodontic treatment is a collaboration between you and your orthodontist. The doctors will do their part to plan for the gradual movement of your teeth and/or jaws, but it's up to you to take care of your braces to do follow prescribed actions such as wearing rubber bands. Finally, it's important to keep your teeth and gums clean and healthy. You should plan on continuing regular visits to your family dentist during your treatment. Adults who have a history of periodontal (gum) disease should also see a periodontist (specialist in treating diseases of the gums and bone) on a regular basis throughout orthodontic treatment. We've provided a great deal of information on this Web site. You are also welcome to call us with any questions or for a free evaluation. Also, chances are you know someone who has had braces. Talk to them. Most people who have had braces will tell you their experiences, what they liked, what they didn't like, and what the results of their orthodontic work have had on their lives.